To do lists and schedules are valuable time management tools. They help you keep track of what needs to be accomplished and when things need to be done. However, they have a major drawback that limits your success. It is very easy to get stuck in your to do list and schedule. You do what you have determined to be important. What made it important? Was it because your boss said it was necessary? Is it because you do these tasks every week? To do lists and schedules lock you in to a set number of tasks. Usually any left over time is spent putting out fires. To make these tools more valuable include blank time. Put aside time to explore different ways of achieving your goals. Evaluate whether or not what you have been doing is really the best way to get where you want go. 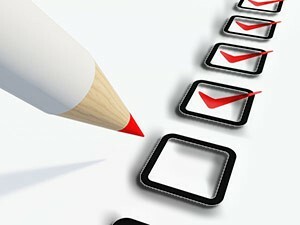 Just because you have a recurring item on your to do list, doesn’t mean that it is serving the purpose you think it is. Do this on a regular basis and your regular schedule will become much more efficient and allow you to spend more time exploring new ideas.